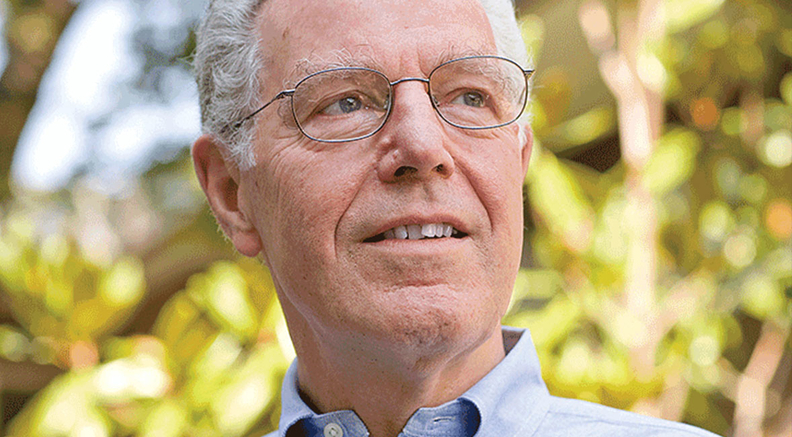 The field of healthcare economics lost a giant on Tuesday with the passing of Uwe Reinhardt, an economics professor at Princeton University, after an illness. He was 80. His research focused on hospital pricing, healthcare systems around the world, Medicare and healthcare spending. His work appeared in the New England Journal of Medicine, JAMA, Health Affairs, the British Medical Journal, the New York Times and other leading publications. Reinhardt was famous for his dry wit and entertaining presentations at healthcare conventions for many years. Audiences often roared with laughter when he projected satirical slides using economic models to depict thorny contradictions in health policy. One chart that he and his wife Mei, also a health economist, put together and sent out as a Christmas card was titled "The Economics of Being Kinder and Gentler: A Hypothesis." A tall man with movie-star looks and a melodious baritone voice, he used a combination of ironic humor, rigorous grasp of health economics, and lucid speaking and writing style to become perhaps the nation's foremost popularizer of healthcare policy issues. NPR and other news media frequently turned to him to explain complicated issues to the public. "He was part of that first wave of Ph.D-trained economists working in healthcare," said Gail Wilensky, a senior fellow at Project Hope who headed the Medicare program under President George H.W. Bush. "But nobody could approach him in terms of his wit and ability to communicate serious issues in a way that was so entertaining." The German-born economist long lamented that the U.S. did not establish a system of universal insurance like his native country and other advanced nations did. He took a mordant view of his adopted country's lack of what he called "social solidarity." He sometimes wondered out loud why U.S. policymakers hate poor people. Reinhardt told Modern Healthcare last year that if Vermont Sen. Bernie Sanders were elected president and presented his Medicare-for-all plan to Congress, it would be dead on arrival because "politically, you cannot legislate what rationally makes perfect sense." "He never hesitated to talk about values and his sense of what society ought to be like," said Dr. Don Berwick, president-emeritus of the Institute for Healthcare Improvement and former CMS administrator in the Obama administration. "He always managed to keep a smile going even when he was outraged." While Reinhardt generally took a politically liberal view on health policy issues, he had no sacred cows, pointing out the responsibilities of all stakeholders for rising healthcare costs. He insisted that policy solutions had to be affordable, and that healthcare spending could not be allowed to crowd out other social investments such as education. A widely cited Health Affairs article he co-authored with Gerard Anderson and others, titled "It's the prices, stupid: Why the United States is so different from other countries," argued that the reason this country spends so much more per capita on healthcare than other advanced countries is higher prices for healthcare goods and services, including hospitals, physicians and drugs. "He was one of our most incisive economists," said Chip Kahn, CEO of the Federation of American Hospitals. "But I got into a lot of debates with him about the difference between price and payment. You never agree with someone all the time." Reinhardt grew up in Germany during World War II, experiencing the horrors of war as a child, and he and his family suffered hunger. As a young man he emigrated to Canada, earned his college degree, and later received a Ph.D in economics from Yale University. In a 2003 op-ed article in the New York Times, Reinhardt described how his childhood experience with war helped forge his humanistic views, which are reflected in his health policy writing and speeches. As the U.S. was launching its invasion of Iraq, with his son having volunteered as a Marine officer, Reinhardt wrote that "there is nothing neat about maiming and killing people with precision bombs from the air or gunfire on the ground — even when they're wearing enemy uniforms…Let us hope and pray for a minimum loss of human life — period." His son was seriously wounded in Iraq but recovered. "One of his sources of outrage was that this country could call on people to serve the way his son did and then turn its back on people who were vulnerable," Berwick said. "He deeply believed in the American project. When it was off track, as it is now, it was a personal matter to him."